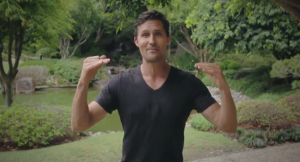 In today’s episode of E-Motion Health Ty is talking Fasting – one of the most unbelievable ways to transform any disease. During Fasting, the energy which is usually directed to breaking down foods can be re-directed towards detoxifying the body. The stores of toxins, which our body compartmentalizes away into fat tissue, bones and connective tissue then become available for processing by the liver and kidneys. Watch the full episode here (6:40mins) and let us know in the comments section below – Have you tried fasting? What was your experience like? If you liked this episode you might also want to see Don Tolman talking about his Fasting experience and how to break a fast over in our interview with the Whole Foods Cowboy HERE. I fast approximately every 6 months and find it to be a great experience. My fast of choice is Blessed Herbs as they are formulated with wholesome, clean ingredients and I mix the pre-packaged powers with raw, organic apple juice. After several days of going through the highs and lows of fasting I begin to experience POWERFUL life force energy and consider never eating again! With all my energy I continue my daily disciplines of corrective stretching, chi gong breathe work, workouts/exercise and running my health, wellness and fitness business. As a Holistic Lifestyle Coach, Corrective Exercise Specialist and Reiki Practitioner, I recommend fasting/cleansing to my clients. Thank you for sharing this video…keep them coming. Thanks so much for your comment Laurie – starting with you is the best way to help others! Finding what works, what you personally recommend and using your experience to teach and help others. That’s why we love sharing these video’s so much. I just fasted for the first time. I have done cleanses, but this was the first time with no food and I only did one day and then I eased into a cleanse. I have to say it was easier than I thought, although I was alone, not being social, and I did have a couple freak out moments, but it was after I started drinking smoothies… It was almost easier to just drink water… I also drank some coconut water for the electrolytes, but this is as close as I’ve been to no food. I was always concerned about doing a cleanse because I used to be hypoglycemic, and would pass-out, so I do think that people need to consider whether they have blood-sugar issues before doing something so drastic as a fast. I think it is something to work up to so as not to shock the system. I have a really healthy diet and feel I was ready to take this on and I really did benefit from it, and will probably do it for longer next time. I have been intermittently fasting for more than a year. I am happier feel healthier and do not plan on stopping. Good luck to everyone regardless of eating habits.